To make sure your basement remodeling project is done right the first time, be sure to choose a basement finishing expert that utilizes products that won't attract mold or moisture and won't damage easily over time. 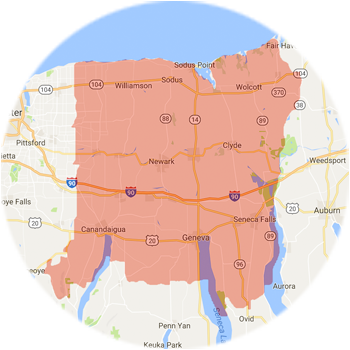 For a free estimate in Palmyra, Lyons, Williamson, Weedsport, Clifton Springs, Bloomfield, Marion, call us today. All of our high-quality products can ensure a basement environment that is safe, healthy and beautiful. If you're thinking about finishing your basement, our basement finishing services and innovative basement remodeling system can ensure a dry, healthy basement the first time around. Our services are available in Victor, Ontario, Seneca Falls, Waterloo, Farmington, Macedon and many surrounding areas. Call us today to schedule an on-site inspection and free estimate!